Research by scientists at Queen's University in Belfast could revolutionise life for people with MS. The study of how the damaged brain repairs itself is being hailed as landmark work. In Northern Ireland, 4,500 people have MS. Across the world, 2.3 million live with the condition. MS causes the body's own immune system to attack the lining of nerves in the brain and spinal cord. The study, led by Dr Yvonne Dombrowski and Dr Denise Fitzgerald at the Wellcome-Wolfson Institute for Experimental Medicine, focused on specific cells from the immune system which play a key role in repairing the brain. "At Queen's, we are taking a unique and fresh approach to uncover how the immune system drives brain repair," said Dr Dombrowski. "This knowledge is essential to designing future treatments that tackle neurological diseases such as MS in a new way - repairing damage rather than only reducing attacks. "In future, combining these approaches will deliver better outcomes for patients." Dr Denise Fitzgerald from Queen's had a condition similar to MS - transverse myelitis - when she was 21 years old. She had to learn to walk again. "This pioneering research, led by our team at Queen's, is an exciting collaboration of top scientists from different disciplines at Cambridge, San Francisco, Edinburgh, Maynooth and Nice," she said. "It is by bringing together these experts from immunology, neuroscience and stem cell biology that we have been able to make this landmark discovery." She called it "an important step forward in understanding how the brain and spinal cord is naturally repaired". Until now, medical treatment for MS could limit relapses, but could not reverse existing damage. The discovery means researchers can develop medicines to boost particular cells and develop a new class of treatments. 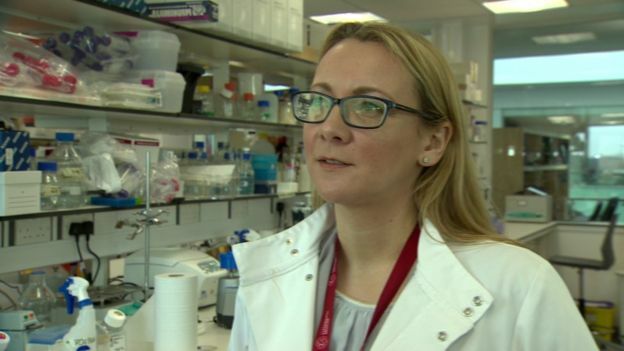 Dr Sorrel Bickley from the MS Society, said the study offered an understanding of how myelin repair can be promoted, opening up new ways for treating it. "We welcome this international collaboration led by Northern Ireland, where rates of MS are amongst the highest in the world," he said.